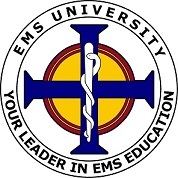 This Arizona Department of Health Services (DHS), Bureau of EMS approved course follows the U.S. Department of Transportation (DOT) National Standard Curriculum for Emergency Medical Technician – Basic Refresher. Students are trained according to the standards outlined above. Students who successfully pass the course, will be presented with a certificate outlining the applicable topic areas. This course can be used towards recertification as an EMT/EMT-Basic for National Registry of Emergency Medical Technicians (NREMT).